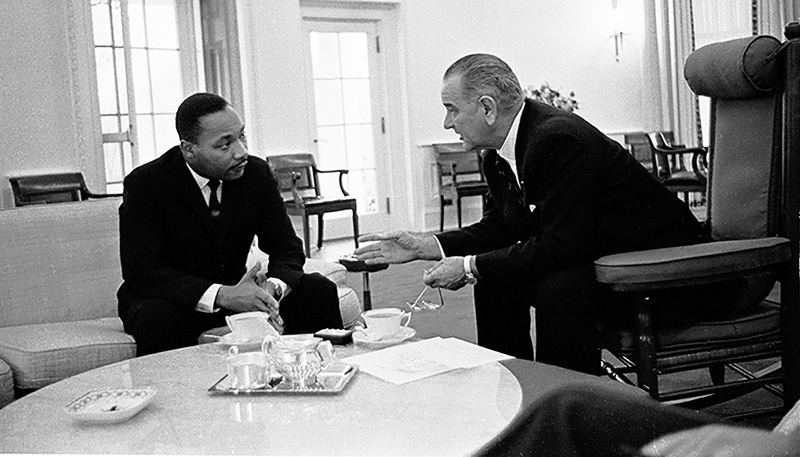 By the time Dr. King’s life was snuffed out by a sniper’s bullet in Memphis on April 4, 1968, the cause of fair housing was also on the minds of lawmakers on Capitol Hill. The same day Dr. King was martyred, the U.S. Senate passed a fair housing bill and sent it to the House of Representatives for further consideration. On April 10, the House passed the measure. Each year, the Center for Responsible Lending (CRL) released an analysis of the annual Home Mortgage Disclosure Act, the most comprehensive mortgage lending report, and the only one that includes data on lending by race and ethnicity. CRL’s most recent analysis found that in 2016, conventional mortgage lenders continue to serve White and wealthier borrowers. Despite broad support for large banks following the most recent housing crisis, Blacks, Latinos, and other borrowers of color are mostly accessing government-insured mortgage programs such as FHA or VA. Even upper income Blacks are overrepresented in FHA. In plain English, that means fewer banks are offer mortgage loans to average Americans and talks about the future of mortgage lending fail to provide for greater access. Once again, the same communities that suffered the worst losses during the Great Recession remain at a financial disadvantage. Homeownership is still a solid, wealth building block. As home values appreciate, financial gains are achieved. But for those shut out of these opportunities, the chance to safely build family wealth is denied. Further, a recent report by CRL and the National Urban League analyzing a proposed draft of legislation from Senators Bob Corker (R-Tenn.) and Mark Warner (D-Va.) to reform the nation’s housing finance system found it will harm access to affordable mortgage loans and the overall housing market. The proposal removes key affordability mechanism such as the broad duty to serve, including affordable housing goals. It also weakens fair lending enforcement under the Fair Housing Act by inserting business judgment protection for guarantors’ decisions on access – despite the U.S. Supreme Court ruling that such claims are permissible under the Fair Housing Act. Fifty years later, our journey towards fair housing remains unfinished.